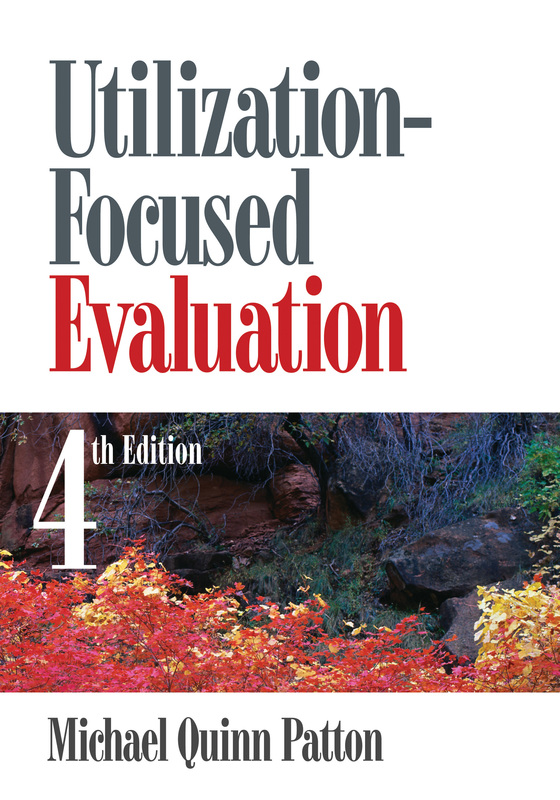 The Fourth Edition of the bestselling Utilization-Focused Evaluation provides expert, detailed advice on conducting program evaluations from one of leading experts. Chock full of useful pedagogy—including a unique utilization-focused evaluation checklist—this book presents Michael Quinn Patton's distinctive opinions based on more than thirty years of experience. Key Features of the Fourth EditionProvides thoroughly updated materials including more international content; new references; new exhibits and sidebars; and new examples, stories, and cartoonsIncludes follow-up exercises at the end of each chapter Features a utilization-focused evaluation checklist Gives greater emphasis on mixed methodsAnalyzes the pluses and minuses of the increased emphasis on accountability and performance measurement in government at all levelsDetails the explosion of international evaluationIntended Audience Both theoretical and practical, this core text is an essential resource for students enrolled in Program Evaluation courses in a variety of disciplines—including public administration, government, social sciences, education, and management. Practitioners will also find this text invaluable.